Do you want your poster removed from foam board/core? Click here to request this service. Traditional frame shops often use foam board to mount posters in order to flatten the fold lines and and make the poster ready for framing. 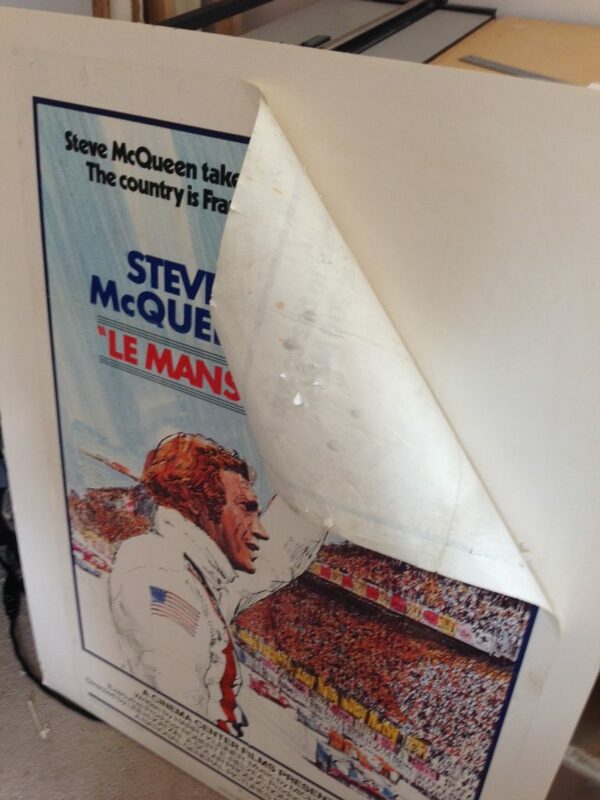 While this approach does a fine job of flattening the poster the glues that are used are permanent in nature meaning that reversing the poster is all but impossible or at the very least cost prohibitive, In addition there is a significant probability that the poster would be damaged during any attempt to remove the poster from the board. This is the main reason why valuable posters are difficult to sell or sell at deep discounts if they are mounted to foam board. By contrast linen backing achieves the same goals of flattening the poster while at preserving the option to easily remove the poster in the future should the reason arise. We have received posters that have been stuck to glass, posters that have been damaged by glass during a break, posters that have been damaged by water or mold and others that been damaged by stains from all sorts of products. 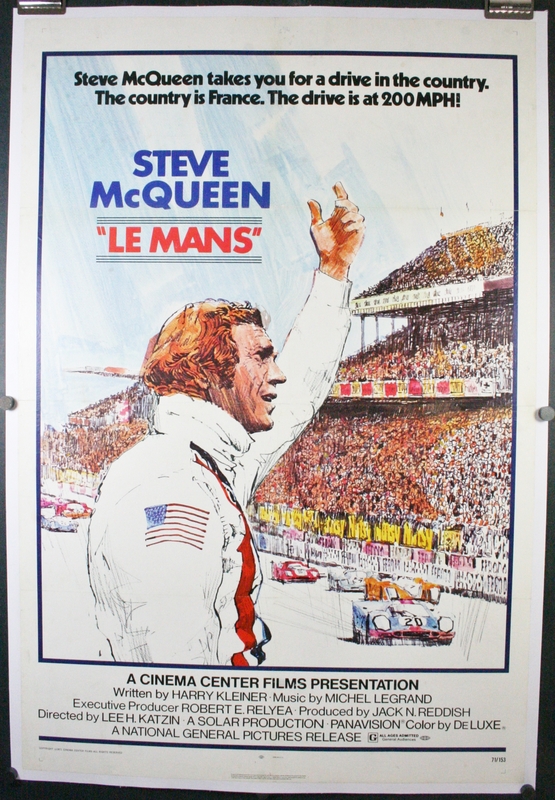 Preserving the option to remove the poster is why collectors and dealers prefer linen backing to mounting to foam board. 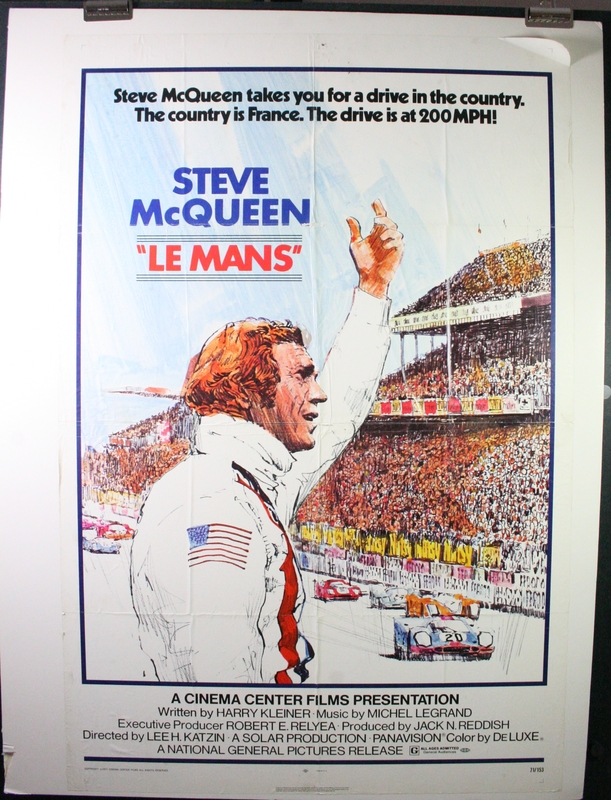 The following example of a Steve McQueen Le Mans poster was mounted to foam board and showed bubbles and creases throughout resulting from water damage. Bubbles, peeling and tide marks from water damage are present throughout. 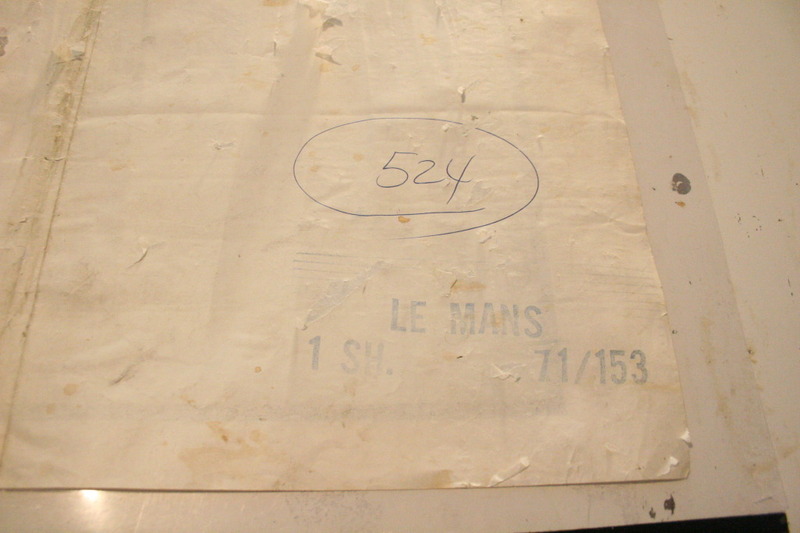 A combination of mechanical methods and solvents are used to slowly remove the poster from the board. To buy this poster (Click Here)!